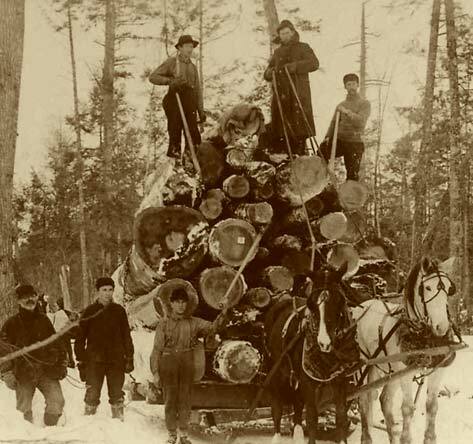 The late 1860s began the lumber-boom period in Big Rapids, as the lumbering moved northward in Michigan. At the time, this small town only had about 1,000 residents, and they were beginning to receive an influx of an equal amount of lumbermen each Spring. Depending on the weather, the lumber camps would close down in March or April and then start back up again in the Fall. So, for about six months, Big Rapids would fill up with hundreds of lumbermen, many of whom were thirsty for beer and whiskey. From reports in the city's newspapers, the residents were genuinely taken aback by the invasion of lumbermen during this peak period of activity. In 1870, for example, Big Rapids had about 1,200 residents and between all of the hotels and boarding houses, had lodging for another 1,200 – and they needed it. When logging camps closed down in the Spring, lumbermen, who had been sequestered in strict logging camps where drinking was not allowed, had money in their pockets and, at least for many, the urge to let loose. This was also a time before there was any railroad lines to Big Rapids, and since beer did not travel well, a local brewery was the only way for city saloons to serve beer. Beginning in 1868, the year Big Rapids was incorporated, the first brewery started, located on "Brewery Street" just off West Avenue on the north side of town. This was followed soon after by the Walker brewery on Mitchell Creek at the north end of Hutchinson Street in 1870. The last would open years later in 1878, on Swede Hill at Baldwin & 4th Avenue, but last the longest. Each tried to capitalize on Big Rapids' lumber boom, however, each suffered similar fates as liquor taxes, the wane of the lumber boom, and eventual competition made the enterprises unprofitable. 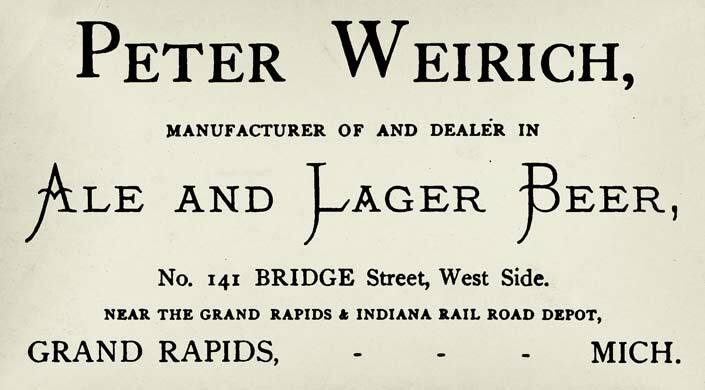 John Schlich was the brother-in-law of Peter Weirich who owned the Michigan Brewery in Grand Rapids. 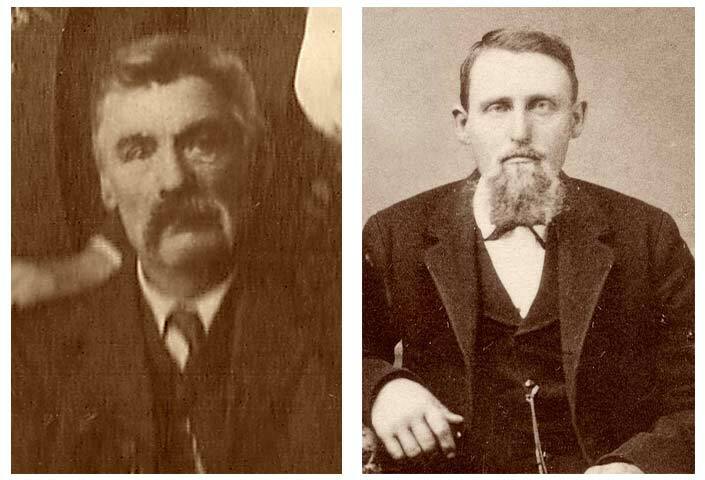 Schlich came to Big Rapids in 1867, and in 1868, he, along with another in-law, Nicholas Theisen, who had immigrated that July, started a brewery on the northern outskirts of Big Rapids on West Avenue. Investing a thousand dollars, the two German brewers purchased 30-acres of land, built a small brewery and began making lager beer. Almost all of this capital came from another relative, Bartholomew Schlich of Alpine Township in Kent County. United States Census, NARA Series microfilm M593, Roll 690, page 4, lines 30 and 31. Their stint didn't last long, for in May of 1871, Schlich and Theisen sold their brewery to Robert Baumhoff and John Kurz of Grand Rapids. 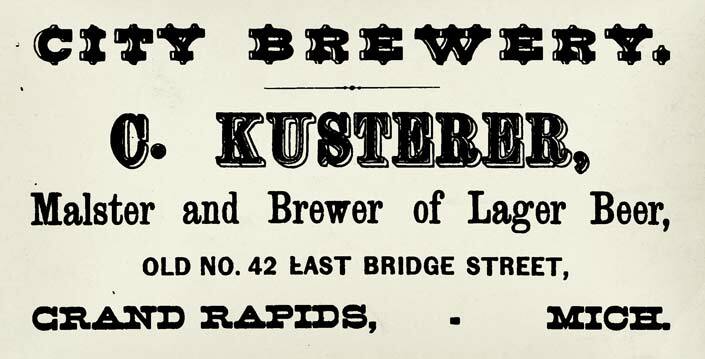 After serving in the Missouri infantry in the Civil War, Baumhoff moved to Grand Rapids and spent the next six years working for Christopher Kusterer's City Brewery. 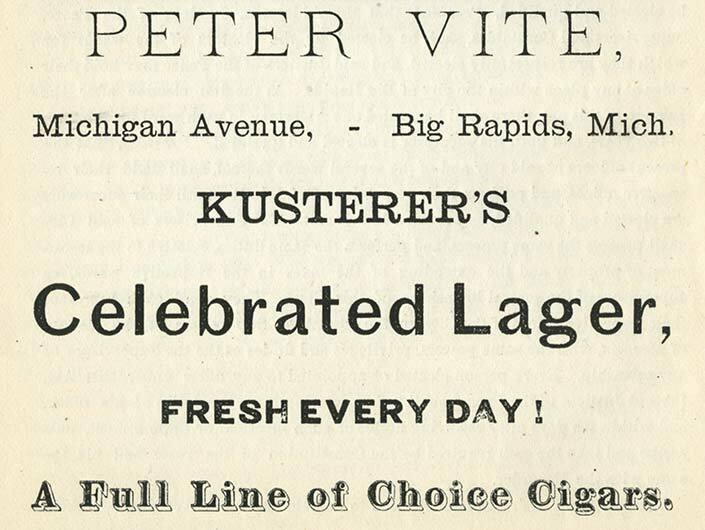 Kurz had immigrated in 1868 from Germany to Grand Rapids and worked for both the G. C. & Christ Brewery and Kusterer. Baumhoff and Kurz bought the brewery for $1000, but borrowed an additional $2400 from the former owners and Bartholomew Schlich to fund an expansion to the existing brewery. They now called it the City Brewery and began making ales and lagers. "Messrs. Baumhoff & Kurz, the enterprising brewers, have purchased the Old Brewery, on Brewery street, (north part of city,) and intend to enlarge it to double its capacity, and also, to employ a few more hands. They are manufacturing a better quality of beer than can be got in any other part of the State." In June, 1872, Baumhoff & Kurz held a "Sunday-Lager-Beer-Garden," which drew the ire of The Big Rapids Ladies' Temperance Alliance. The Big Rapids Magnet newspaper reported the event as a "regular hell." The following year, local ordinances were tightened to disallow Sunday liquor and beer sales. The next month, in July, Kurz sold his half of the brewery to Baumhoff. 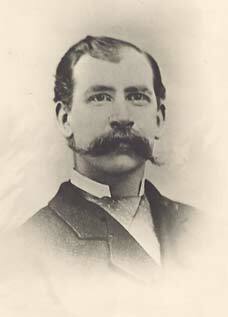 Kurz returned to Grand Rapids and worked as a cooper, saloon keeper and hotel proprietor. 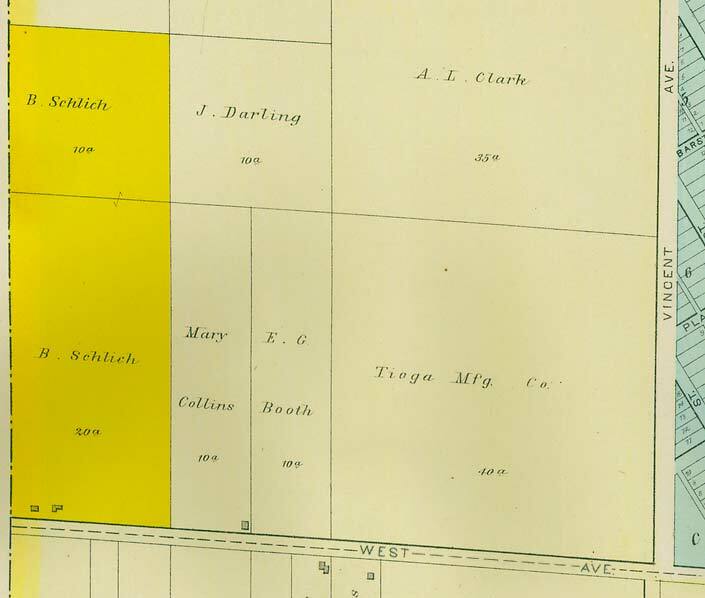 1879 Plat book of Mecosta County, Michigan, drawn from actual surveys and the county records by P. A. & J. W. Myers & C. H. Cameron. Baumhoff did not to have much success thereafter. He received some financial help from Christopher Kusterer, but in October of 1874, after failing to make the loan payments, the brewery went into foreclosure, and then six months later put up for public auction. Bartholomew Schlich ended up buying the property as the highest bidder for $1800, and the brewery was shut down. Schlich later sold off the property for $1000 in 1882. 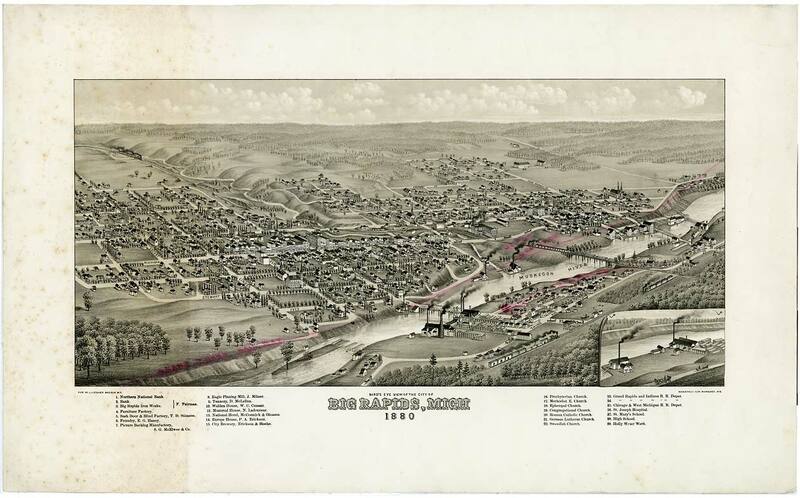 Bird's Eye View of Big Rapids, Michigan 1870 by E. S. Glover, published by D. D. Morse. 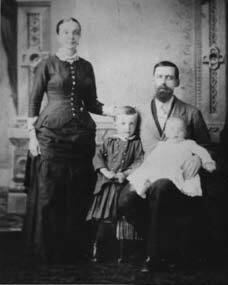 The Walker family, George, Sarah and their three children, Charles, Alured and Eliza, immigrated from England to Oakfield Township in Kent county in 1858. There, they had an 80-acre farm adjacent to a farm owned by Sarah's sister. Sarah died a year later, and George remarried an Irish woman named Ann. In 1868, George, Ann and his two sons, Charles and Alured, moved to Big Rapids. On a small lot next to Thomas Lazelle's steam mill along Mitchell Creek they began brewing beer. Today this would be located at the West end of the football field next to the parking lot by the Fairman Pool. Soon after building a small brewery on the property, they discovered that the new Muskegon & Big Rapids railway line was surveyed to run right through the property. With money from the railway easement, they purchased two adjacent lots along Mitchell Creek for $200, which today would be the parking lot between the Fairman pool and the football field. On those two lots, the Walkers borrowed $315 to build a larger 40' x 60', 2-story brewery. There, they made ales and lager beer for the local saloons. In the Fall of 1872, George Walker sold his interest in the brewery to his sons and bought a 5-acre parcel on the West side of Big Rapids. George would take up gardening, having been a gameskeeper for Queen Victoria and also having assisted with the Palace gardening. The Walker brothers continued the brewing operations until April of 1875 when Alured sold his half of the brewery and moved to the Oregon frontier. His half was purchased for $1,300 by Albert Winter who had come to Big Rapids in 1872, and partnered with Charles Walker to continue operating the brewery. In August of 1875, Charles and Albert bought another small parcel of land adjacent and north of the lots where the brewery sat for $200. This was likely to secure access to Mitchell Creek for water, and the fact that the land owner's wife was on the executive committee of the The Big Rapids Ladies' Temperance Alliance. Then, in August of 1876, Charles sold his half to Winter for $800 and moved out West with his father George to join Alured in Oregon. 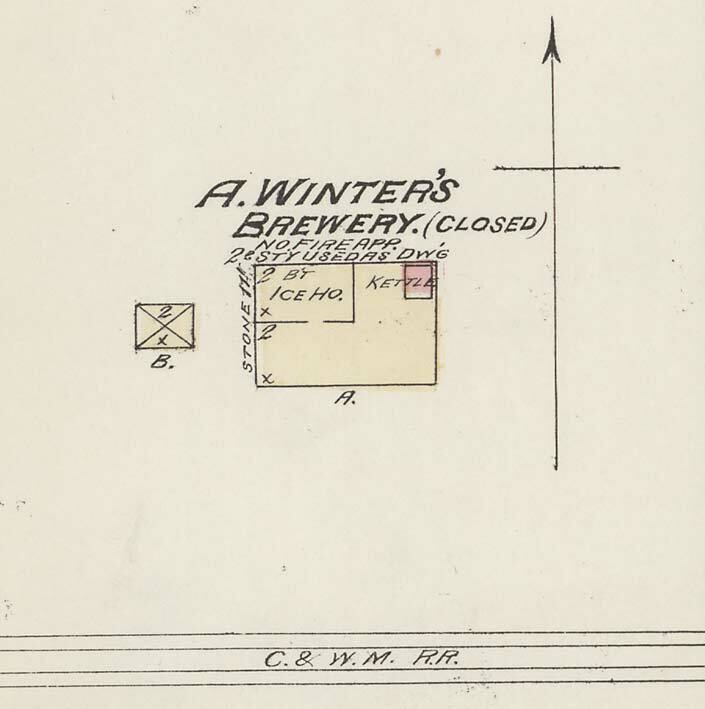 Albert Winter kept the brewery going until 1879 when he sold everything off for $300 to banker D. Darwin Hughes of Grand Rapids. Winter then bought a farm on the south side of Big Rapids, and the brewery building after that was rented out as a residence. As of 1897, it was still standing and was known locally as "The Old Brewery." 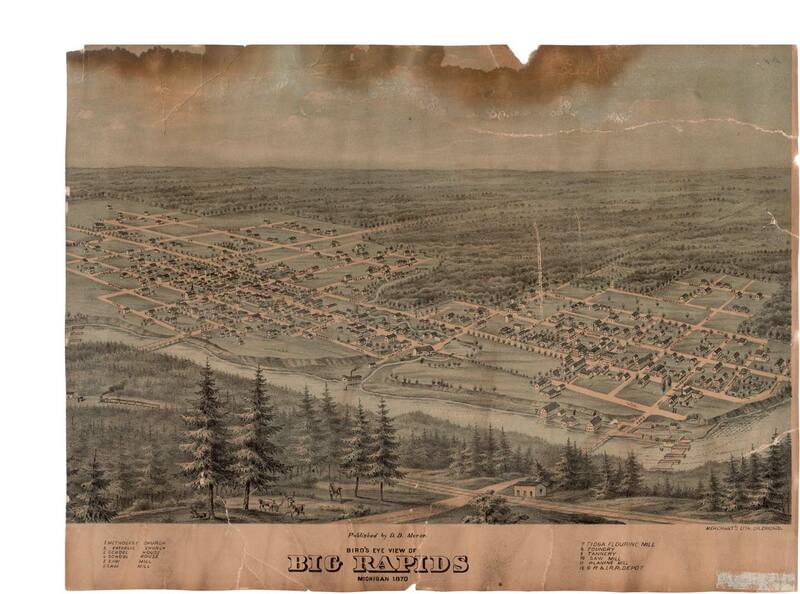 Bird's Eye View of Big Rapids, Michigan 1880 published by J. J. Stoner. P. A. Erikson came to BR in 1873 from Sweden. He opened a saloon in 1875 and then the Europe House hotel in 1877 on Swede Hill at Baldwin and Fourth Avenue across from the Grand Rapids & Illinois train depot. With German Frederick Hoehn, they started a brewery in 1878 across the street from the hotel. In their first year, they were able to produce 198 barrels of beer. Hoehn also owned a saloon on Michigan Ave, and with these establishments, sold their beer. 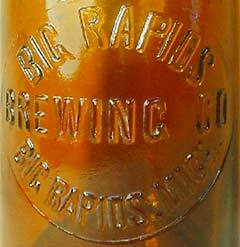 Until 1892, the brewery was known as the City Brewery, and then after, it was renamed The Big Rapids Brewing Company. The brewery employed up to eight people, but by April of 1901, as of the State Bureau of Labor report, the brewery was idle with a "poor" outlook. 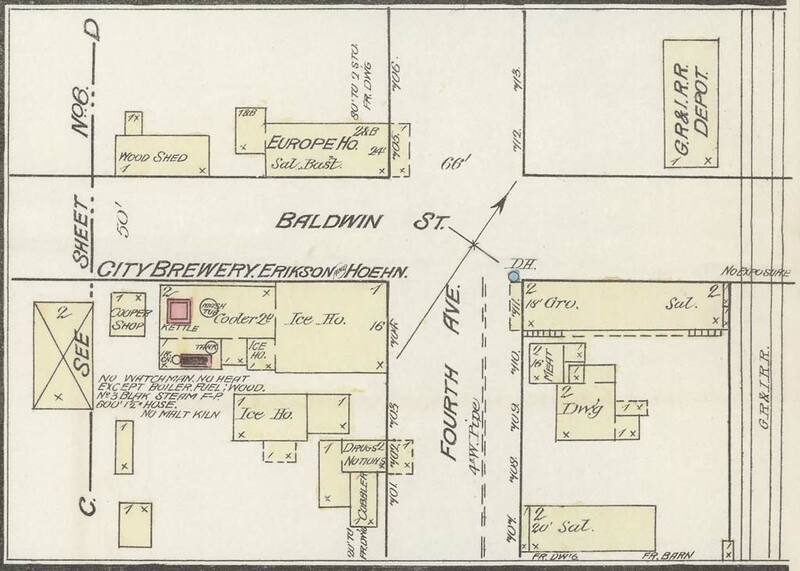 As of a 1908 Sanborn Fire Map, neither the brewery nor the hotel buildings were standing. Before the Civil War, the bottling of beer was too expensive to be practical, and so nearly all beer was stored in and served from wooden kegs. Bottles were hand-blown and stopped with cork and wire, which sometimes couldn't handle the CO2 pressure as the beer still continued to ferment after bottling. Bottling became less expensive beginning in the 1880's as bottles began to be made from iron molds and with innovations in capping. Also, secondary fermentation was stopped by pasteurization and filtering, and no longer needed, as other methods to carbonate were used. For small, local breweries, bottling was usually not done by the brewery, but by a separate company called a bottling works. The bottling of beer wouldn't really take off, however, until after Prohibition. Big Rapids had a local bottling works at East Maple Street and Second Avenue. 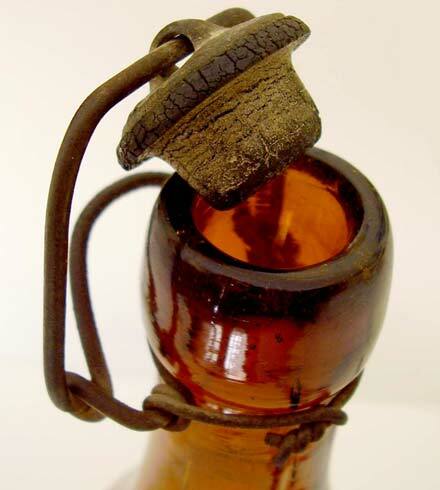 Started by the Lentz Brothers (Matt and Joseph) around 1887, they bottled beer, ale and porter. They also bottled mineral and soda water, and ran a saloon from the same building. 1897/1898 Big Rapids City Directory, published by Nisbett & Andrews, 1898. They purchased kegs of beer from area breweries, some as far away as Chicago, and had them transported by rail to Big Rapids to be bottled. It's likely also, that they did bottling for the local Erikson & Hoehn brewery. Records show that the Lentz's business operations ceased about 1900. Sanborn Fire Insurance Map from Big Rapids, Mecosta County, Michigan published April, 1892. Library of Congress. The amount of business generated by the logging industry helped fuel Big Rapids' growth, but it's residents had a hard time dealing with the sheer number of lumbermen that "invaded" the city. The lumbermens' public drunkenness, fights, rowdiness and "night howling" was not appreciated. Because of this, temperance meetings began occurring on a weekly, sometimes daily basis, held at local churches and the Opera House. 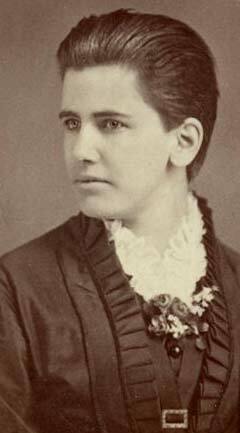 Lectures were given by local ministers, and notable prohibitionists like Anna Howard Shaw and Rev. John Russell. Plays were also held at the Opera House like "The Drunkard, or the Fallen Saved" in 1874. "The Bible declares that no drunkard shall enter Heaven. Dare you unfit a man for Heaven? What awful woe is pronounced upon the man that putteth the bottle to his neighbor's lips to make him drunken! Then let us entreat you to give up this dreadful business, so hardening in its influence upon yourselves, so terrible in its consequences to others." In May of 1874, "The Big Rapids Ladies' Temperance Alliance" was formed. They began a crusade to convince the saloon owners to "abandon their ways" and help restore the "good order of society." The Ladies were integral with bringing prosecutions against saloon and hotel proprietors that violated any of the local liquor prohibitions. Their vigilance helped pass local liquor ordinances and taxes, which helped drive many to get out of the business of selling liquor or beer. This, as a result, hurt the local breweries. There were no saloons in Big Rapids before 1868. They began opening up as the lumber industry moved north, and more and more lumbermen crowded the city. In order to deal with this chaos, the Common Council, Big Rapids' city government, passed an ordinance in May of 1869 with prohibitions and a Special Tax of $300 per year for liquor dealers. In April of 1873, the Common Council raised the tax to $500, which caused a "strike" by the local saloons. Liquor dealers threaten to close their businesses unless the tax was reduced back down to $300. "Big Rapids is at last a temperance city. (?) 'Bummers' can now be seen passing up and down the streets and as they approach a saloon they stop and gaze long and earnestly at the door and then turn sorrowing away. A few of the saloons have opened up on 'Sweet Cider,' 'Mineral Water' and 'Ague Cure.'" After a three-week strike, the saloons opened once more. A compromise was worked out in that the tax would be set at $400 per year but could be paid in equal, quarterly payments. A compromise was definitely in each parties' interests; saloons wanted to stay in business, and the city was collecting a large amount of money for public works. Over half of the taxes collected by the City Treasurer in the years 1872 and 1873 were from the Special Tax on liquor sales. Most of the liquor dealers in Big Rapids chose to pay after the end of a year, but sometimes not at all. This resulted in prosecutions of a number of saloon and hotel proprietors, who, as a group, tried to convince the Common Council that if they "frown down" the Ladies' Temperance Alliance, they would pay the tax. After six months of prosecutions for liquor violations and refusals by some saloon owners to pay the tax (including one hotel proprietor, Joseph Shier, going to jail), another compromise was struck; taxes could be paid in six equal installments, but no liquor sales on Sunday, any day after 10PM, or on certain holidays (New Years, July 4th and Christmas). With this, the current prosecutions on the docket were dropped. Along with local taxes, liquor dealers, brewers and distillers also had to pay a Federal Special Tax. This ranged from $20 to $100 depending on whether the dealer sold retail or wholesale, and if they sold malt liquor or distilled liquor. Making it even tougher on saloon keepers, the State of Michigan passed the Liquor Tax of 1875, which included some prohibitions and taxes that ranged from $40 up to $300. This tax included brewers that ranged from $50 to $200 depending on how many barrels of beer were produced per annum. Before Big Rapids got it's first railway line in 1870, freight from Grand Rapids came by wagon load following an old Indian trail along the Muskegon River toward Croton and then south. Rates were about $2 per 100 lbs., and with good weather, could make the trip, there and back, in a week. Beer, of the time, could not travel this distance, as temperature changes and motion would ruin it. 1876/1877 Grand Rapids City Directory, published by Murphy & Co., 1876. 1875/1876 Big Rapids City Directory, published by Pioneer Magnet Printing Company, 1875. 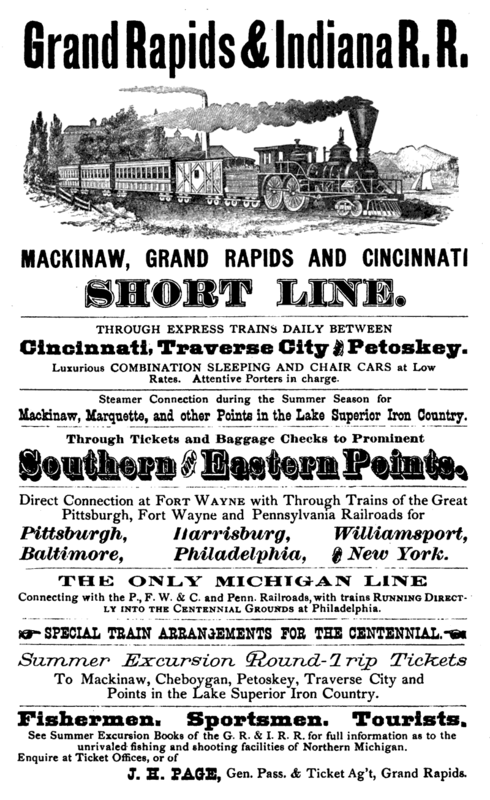 The Grand Rapids & Indiana railroad arrived in Big Rapids in June, 1870, and two more in 1873 and 1880; the Muskegon & Big Rapids and the Detroit, Lansing & Northern respectively. Each successive railway brought more competition and better rates; getting as low as 16¢ per 100 lbs. This opened Big Rapids' saloons up to the much larger brewers in Grand Rapids like Kusterer, Peter Weirich and Veit & Rathman's Eagle Brewery. Later in the century, saloons also added beers from brewers in Detroit and Chicago as bottling, refrigeration and pasteurization methods improved their transport, all of which spelled the doom of the local brewery. This page is a continuing work-in-progress. If you have new information, corrections, photos, or items you’d like to share, please contact the author. - Changed the start dates for the Schlich-Theisen and the Walker breweries from 1869 to 1868. Tax rolls show that each had paid property taxes for the year 1868 before deed records showed they actually purchased the land, which is not unusual. It's possible they leased the land before purchasing in case their enterprises failed to take off. 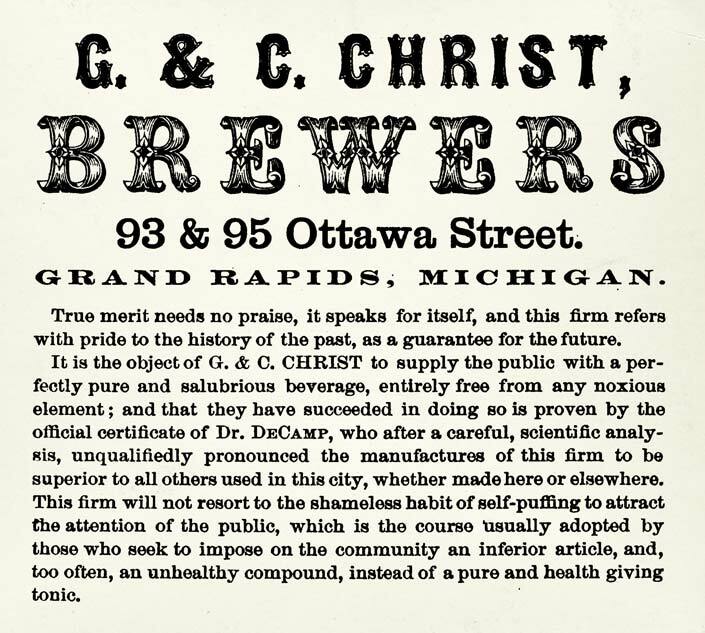 I could find no tax entries for them for the tax year 1867, but it's still possible that each brewery could've started in 1867 since Schlich arrived in Big Rapids as early as August, 1867, and Charles Walker arrived back from England in June, 1867. 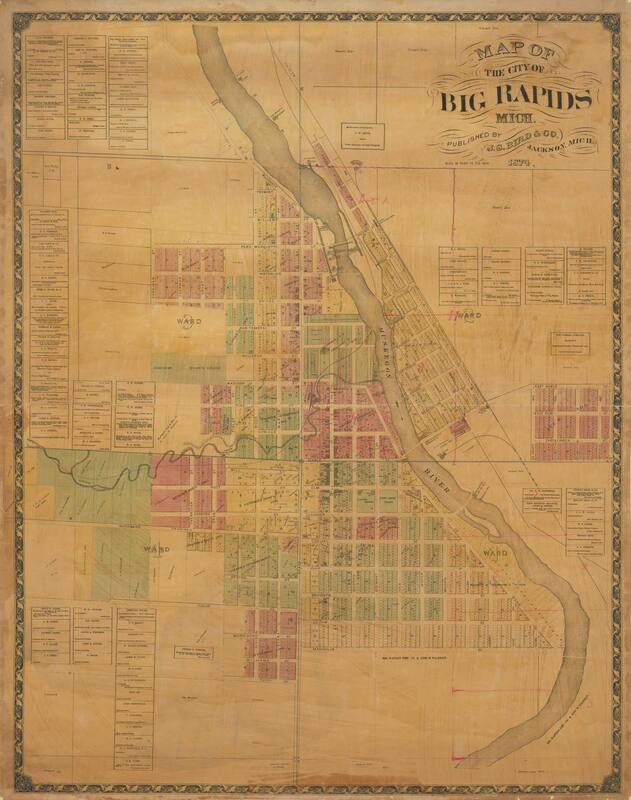 1874 map of the city of Big Rapids. Written by Marc Hansen. ©2017-9 Marc Hansen. Last updated, February, 2019.